Port State Control Officers in West and central Africa have been trained on the New Inspection Regime at a training workshop to promote further coordination of regional Port State Control (PSC) activities. 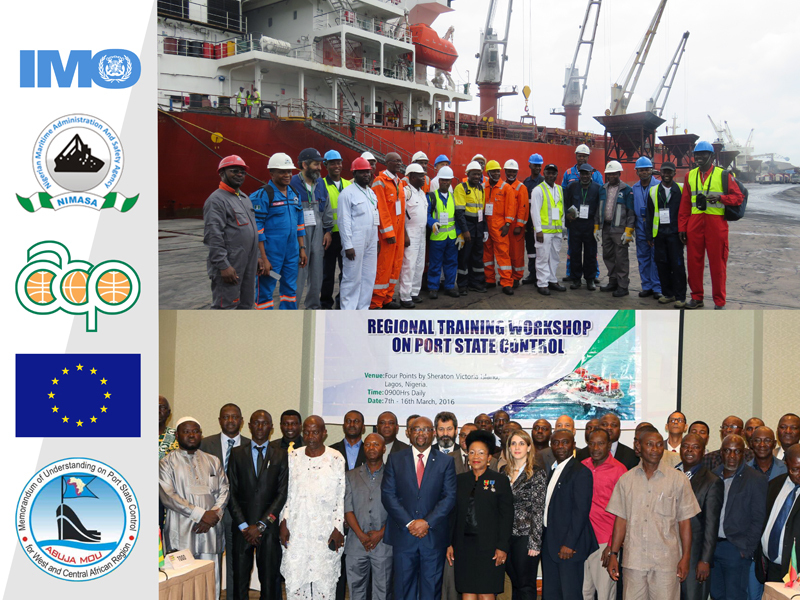 The training which included a practical PSC inspection at the Apapa port, took place in Lagos, Nigeria from March 7-16 with officials coming from 18 West and Central African countries. Port State control is the inspection of foreign ships in national ports to verify that the ships' condition, equipment and manning comply with international regulations. The International maritime Organisation (IMO) said the NIR was developed by the Paris MoU and adopted by Abuja MoU for enhanced port State control inspections. The workshop was hosted by the Nigerian Maritime Administration and Safety Agency (NIMASA) and jointly organized by IMO and the MoU on port State control for West and Central Africa. The workshop got sponsorship from the European Union, and IMO's William Azuh and Mara Luciano were facilitators at the workshop.